and Chester W. Marynoski (right). In right background, if he shows is Richard Perry. 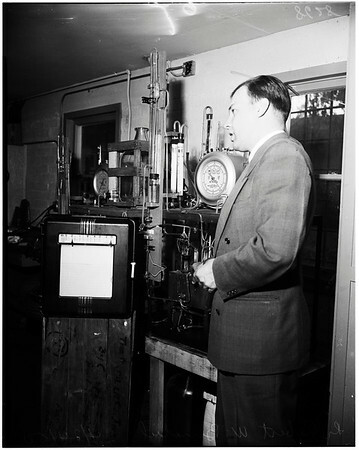 5-6: Dr. Robert W. Benoliel, director of laboratory, with sulfur dioxide analyzer. 13-14: Chester W. Marynoski, chemical engineer, with apparatus for collecting contaminants".